A leak in a warm floor system can be an unpredictable hard fix. Trying to find the leaks and then accessing them can be nearly impossible. The inoperative subfloor caused by leaking can create frost heaving and cause damage to your cold floor above. In order to fix the warm floor you must rip up the cold floor first. This can easily cost the rink tens or even hundreds of thousands of dollars, and can mean a missed season entirely. Rink Seal Pro™ Heating Sealer is a professionally engineered solution specifically designed to seal leaks in your secondary refrigeration (warm floor/ subfloor) system with industrial-strength bonds. Rink Seal Pro™ is simple to install, costs fraction of a hard repair, and requires no downtime. Rink Seal Pro™ Cooling Sealer is specifically designed to seal under-ice leaks in your secondary refrigeration (cold floor) system with industrial-strength bonds. Rink Seal Pro™ is simple to install, inexpensive and requires no downtime. Compare this to the hard fix of trying to find the leak, tearing up your floor, repairing the leak, and factoring in downtime and associated loss of revenue. The latter can easily cost in the tens of thousands of dollars. 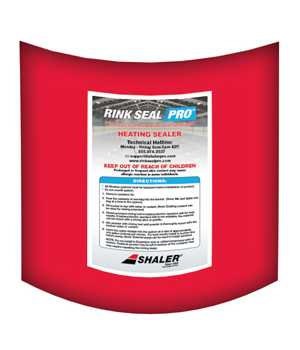 Rink Seal Pro™ improves heat transfer, keeps your system clean, and contains particles in a wide array of sizes. 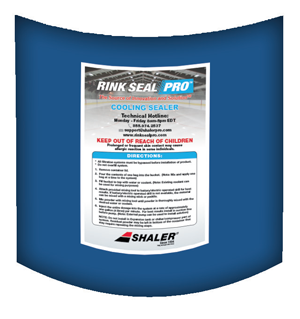 Our custom Rink Seal Pro™ Preventative Maintenance Solution increases the surface area of the coolant, which increases the ability of the coolant to transfer heat. This increase is observed on both the chiller loop and the under ice floor loop. Typical results show a minimum of 2.5% increase in efficiency in new and old systems between the two loops. Leaks are inevitable; at some point, environmental factors (permafrost, fatigue, etc. ), normal usage, or expansion/contractions will cause your system to develop a leak. 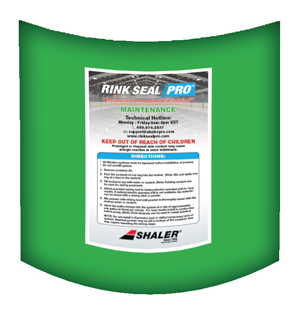 Rink Seal Pro™ Preventative Maintenance Solution will protect your system to prevent potential leaks from becoming a problem. It will stop a leak before you ever lose coolant. Even if don’t know you have a leak, a tiny fracture could be sucking air into your system, causing poor performance (air bubbles, voids, air pockets) and eating away at your efficiency rates. Rink Seal Pro™ Preventative Maintenance Solution stops leaks before they stop your business. 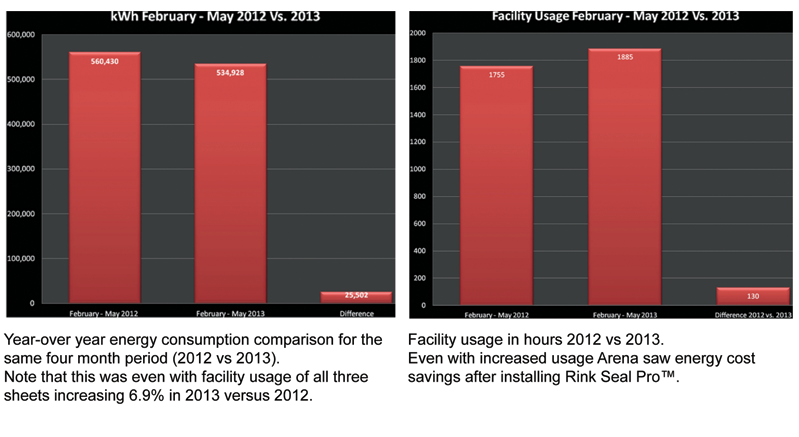 Rink Seal Pro™ not only seals heating/cooling leaks, it also provides savings as it relates to energy usage. Rink Seal Pro™ Preventative Maintenance Solution scrubs and buffs to help eliminate scale and rust build up in the coolant system, thereby improving system heat transfer.